A clinical-stage Australian biotechnology company, PolyActiva, has recruited patients into its Phase I clinical trial for a new ocular implant that could improve the daily lives of millions of glaucoma patients. PolyActiva has used its proprietary polymer prodrug technology to develop ocular implants that, when placed in the eye, provide sustained treatment over a six-month period, compared to current glaucoma treatment where patients often need to administer eye drops daily. The revolutionary technology could in the future mean millions of people with open-angle glaucoma no longer need to use daily eye drops. The potential of removing the reliance on the patient to remember to use eye drops, and the associated difficulty in administering them from the paradigm of glaucoma treatment, is being heralded as major potential health breakthrough by ophthalmologists. Several studies have demonstrated that up to 46 percent of patients have been found not to remember to use their drops or administer them poorly1. Failure to adhere to treatment can lead to faster progression of glaucoma, one of the most common causes of blindness. Glaucoma is the second leading cause of irreversible blindness globally, affecting 300,000 Australians and is expected to affect approximately 80 million people worldwide by 2020. Increased intraocular pressure (IOP) in the major risk factor for the optic nerve damage that results in blindness. Treatment is designed to reduce IOP. 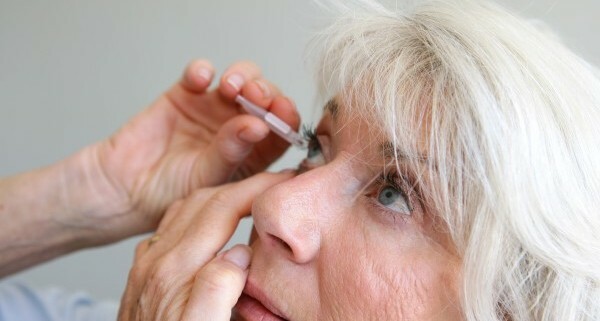 Eye drop therapy is the mainstay of glaucoma treatment however there are two main deficiencies associated with drop therapy – poor patient adherence resulting from the need to administer drops daily and local side-effects resulting from the topical administration of the drug to the eye. Alternative methods of delivering drugs to the eye are required to increase patient adherence to treatment. PolyActiva’s first clinical candidate is designed to provide a constant daily therapeutic dose of latanoprost free acid for at least 26 weeks, which is the active ingredient of a commonly prescribed glaucoma eye-drop (Xalatan®). The clinical trial will assess the safety and tolerance of the implant when administered to glaucoma patients. The implant is also designed to biodegrade within 90 days after the treatment period and is capable of being administered in an ophthalmologist’s office under a slit-lamp using a custom-designed administration device. 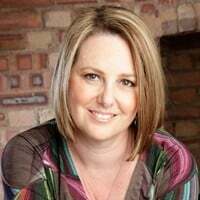 The Phase I clinical trial is being conducted under the Therapeutic Goods Administration Clinical Trial Notification (CTN) scheme at the Royal Victorian Eye and Ear Hospital in Melbourne, Australia, through the Centre of Eye Research Australia (CERA). The Phase I clinical trial will see seven glaucoma patients enrolled to evaluate the safety and tolerability of its PA5108 ocular implant, with initial results expected in Q1 2019. 1 Laura E. Dreer, Christopher Girkin and Steven L. Mansberger. Determinants of Medication Adherence to Topical Glaucoma Therapy. J Glaucoma. 2012 Apr; 21(4): 234–240. Whist warming your cockles by the fire this winter, spare a thought for your eyes. Mostly our time is spent thinking about how best to keep warm in the winter months and we can forget to care for our eyes. The following are a few eye care tips for winter – to keep your peepers healthy. Be mindful of dry environments – Much of our time during winter months are spent huddling round an open fire place or in the air conditioned comfort of our offices. As comforting as this can be such artificial environments can have adverse effects on your eyes. If you begin to experience any discomfort from dry eyes try distancing yourself from the heat source or use over the counter eye drops. Humidifiers can also be useful in alleviating dryness. Sunnies are your friend – The sun can be just as damaging – if not more so – in the winter months than in the summer months. In winter the sun sits lower in the sky and often shines directly in your eyes. Best protection is given from sunglasses that shade from the sides as well as the front. Snow White Snow Bright – Hitting the slopes? 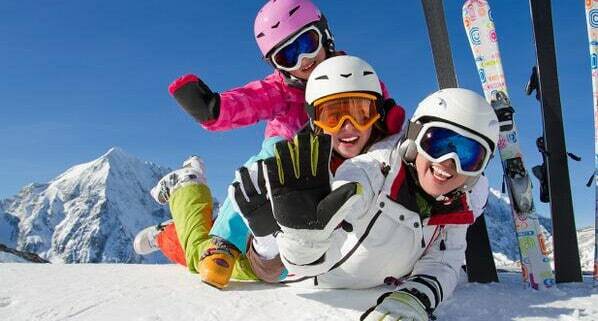 Protect your eyes from the sun by wearing protective ski goggles with 100% UVA & UVB protection. Skiing, snowboarding and other outdoor activities can be hazardous to your vision. Not only do you risk irritation or injury from both debris and other obstacles, but the reflective nature of the snow itself can double the harmful effects of sun on the eyes. Protect your children’s eyes – Make sure your children are also wearing appropriate UV goggles and eyewear. Sun damage is normally acquired from a young age and over time, your eyes can be harmed just as much as your skin. Using UV eye protection from a young age will counter these harmful effects. If you are experiencing any eye discomfort this winter please contact your eye specialist to make an appointment.